When Radnor & Lee announced their debut album in 2017, it raised a few eyebrows. The acoustic folk duo, a self described “weird little experiment” from How I Met Your Mother’s Josh Radnor and beloved Aussie singer-songwriter Ben Lee, is making it’s Australian debut in this months east coast tour, and so far, so very good. There was a diverse mix of people crowing the street outside The Triffid on Thursday night, there for a diverse mix of reasons. Longtime fans of Ben Lee were jammed in next to people who seemed to be more excited to catch a glimpse of Josh Radnor’s familiar Hollywood grin. All groups walked away smiling however, as Radnor & Lee delivered a performance that was both delightful and heartwarming. The show kicked of with a gorgeous set from Brisbane’s own Asha Jefferies. 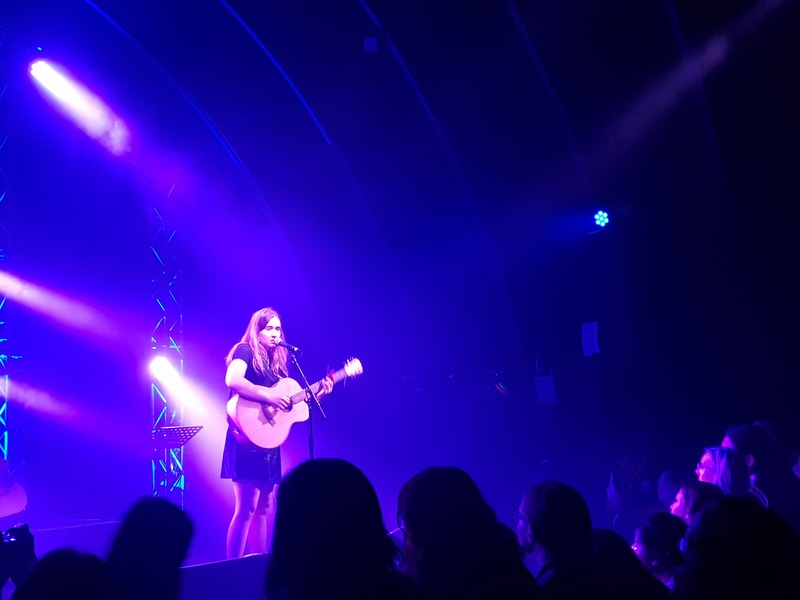 The indie-acoustic musician delivered pitch perfect originals, topped off a surprisingly haunting cover of Britney Spears Toxic that left the crowd cheering. The main act took to the stage with a disclaimer “we’re going to do something you should never do in a professional show… start with a song we wrote today”. 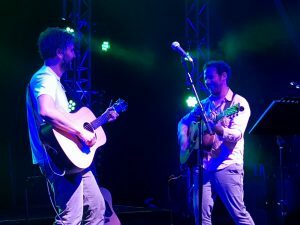 The unlikely pair then launched into a song that set the tone for the show; deeply lyrical, vocally complex and charmingly earnest. After their intro, Radnor & Lee launched into the greatest hits of their 2017 self titled album, with foot-tapping singles such as Be Like the Being and Doorstep. Josh Radnor’s competent baritone acted as a perfect balance to Ben Lee’s familiar soaring tenor, and the chemistry between the two showed off their obvious friendship. Despite their fantastic work as a duo, one of the show highlights came from a solo song from each musician. Radnor started off with a humble monologue about his newness to music, admitting that he only started playing guitar fourteen months ago. He then launched into an original composition entitled Pretty Angel, that was utterly and obviously straight from the heart. Lee followed up with a crowd favourite hit single from his back catalogue, Cigarettes Will Kill You. As the show drew to a close the duo finished strong, with a guest appearance from Asha Jefferies for an enchanting love duet, and an encore that felt touchingly genuine. Radnor & Lee still have two Australian shows left of their tour, and have promised to follow promptly with new music. You can keep up to date with their progress here, and check out Asha Jefferies here. The Tomboy: not feminine till it’s time to be.